Do you ever heard about LIMITS command? 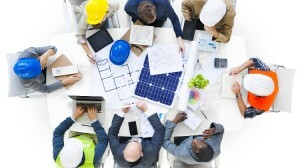 Many AutoCAD users think this tool is obsolete and not relevant anymore. It seems pretty useless. Why do we have to set the drawing limits? We can arrange the drawing later in layout anyway. We try to set the limits, but we don’t really see the difference. We can still draw outside of the limits anyway. So let’s see what we can do with limits in AutoCAD. You probably will find it useful in your job. When do we use LIMITS in AutoCAD? We use LIMITS command to set drawing invisible drawing boundary in our model space. This is very useful if you have to draw within a defined area. But I don’t see the difference on my screen. And I can still draw outside of the boundary. That’s not true. We will see about that later. A good example in using LIMITS is when you need to draw schematic drawing in A3 paper size (or any other paper size). Schematic drawing is not to scale. So setting the boundary and having guides would be very useful. You can set the drawing limits by typing LIMITS in AutoCAD command line then press enter. There are 3 options that you can use. The default is to specify the drawing limits. 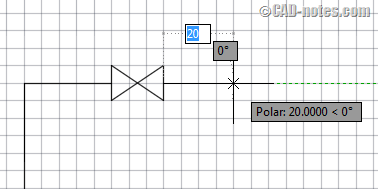 To define the drawing limits, you can pick points or type the coordinate. In below example, I set the drawing limits from 0,0 to 420,297. It is the size of A3 paper size. By default, the limits checking is off. That is why you can still draw outside of the boundary. Now, let’s try to turn it on and see how it works. Type limits then press enter again. This time, choose ON. Now try to draw any object outside of the boundary. Now you only can draw within the drawing limits! In this dialog we will explore some settings. First, you can check “Grid on” to make it visible. You can also set the grid spacing in this category. Second, you can force the cursor to snap to grid. The snap spacing isn’t necessarily to match the grid spacing, but it would be more logical if you set the same value. And third, you may want to uncheck “Display grid beyond limits”. This will make the drawing limits more obvious. Click OK to accept the new settings. Now it begins to make sense, doesn’t it? The grids will help to complete the drawing within the boundary. 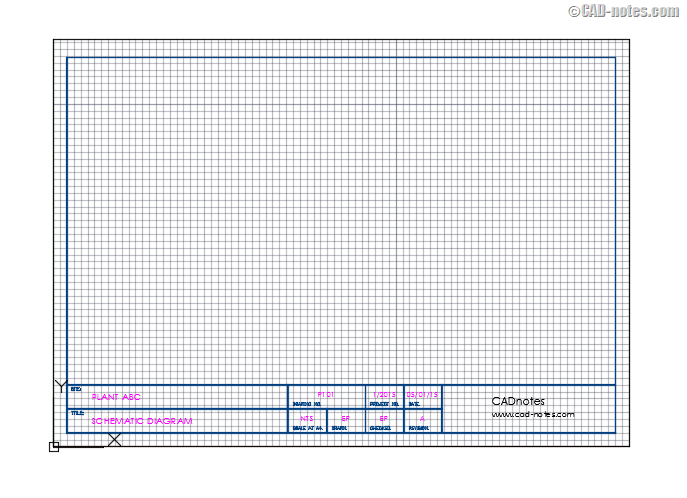 By setting the limits and grid snap, you can easily draw schematic drawing now. Not only you can see the drawing area easily, you can draw with specific unit distance easily. Without having to type the distance. The grid spacing in this example was set to 5. So when you move your cursor, you will only can click distance 5, 10, 15, 20 and so on. That is nice, isn’t it? Probably not everyone needs to use LIMITS. 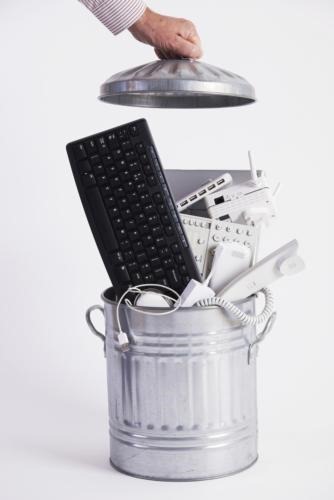 But it definitely not obsolete, we can still get the advantage of using it. In this example, in creating schematic drawing. I believe there are some other types of drawings can use it. And if you think it can help with your work, please share it in the comment section here. We would love to hear your experience! Very informative article. Does using this command help to control file size as well? I know that if for example that the majority of your work in model space is centered around or near 0,0 and you have an object floating around in model space, say 10,000 ft away, autocad will include all the empty background even if nothing is there. Could this be used as a way to help eliminate that issue and possible file size issues? Thanks for your time. I never test it. It might, but I doubt if it can control the file size significantly. Coordinate is just one data to save in AutoCAD file. There are still properties like layers, linetype and so on. Why use scale for anything with autocad? Surely just draw everything 1 to 1 on autocad (so many zoom options to work with), then just check ‘fit to paper’ when printing. I can’t see the reason. Why are only schematics, and other specific diagrams, drawn without scale? The only exceptions would be text/dimensions and specific markings surely? As you can guess I am new to autocad and teaching myself which is probably why I don’t understand this. Thanks for any help to explain it to me. There are two methods: plotting from model space or from layout. I suggest you to use the layout method. Layout basically is a sheet configuration. You can scale your drawing here. Edwin I am really confused with this setting of drawing limits. I have my template with my logo etc. and have set it to A4 (210mms for Y and 297mms for X) and it prints on A4 paper fine. But how can I draw anything to scale bigger than 210 or 297 within my template? I don’t understand. Similar to your comment on setting drawings limits for schematics we occasionally use limits to define the outline of a drawing title block when used in Model space. Printing options can be set to print to Limits; which allows the designer to use the space outside of limits for temporary sketches or notes. Ah yes, I totally forget about printing with limits option! Thank you for sharing! I am a House Builder. I recently began to study AutoCAD. It was difficult for me to set Limits and Architectural Units. Because of your CADnotes, I now understand Limits. When I set Limits and Architectural Units, I still have to Zoom “All” to draw a 35′ line, but when I dimension the line, the dimension figure is not visible. Please Help.Your lessons are very inspiring. Thank you very much for everything. You might need to set dimension style properly. Have you tried to change the text size in dimension style? Totally correct and much needed. Most drafters are drawing in totally undefined space. It shows a serious lack of understanding of navigation in Autocad. You can’t know where to go if you don’t know where you are. Moving in model space or view port to view port can be much better organized if you’ve defined your limits properly and oriented your drawing and reference spaces accordingly. Limits has a lot to do with Zoom. 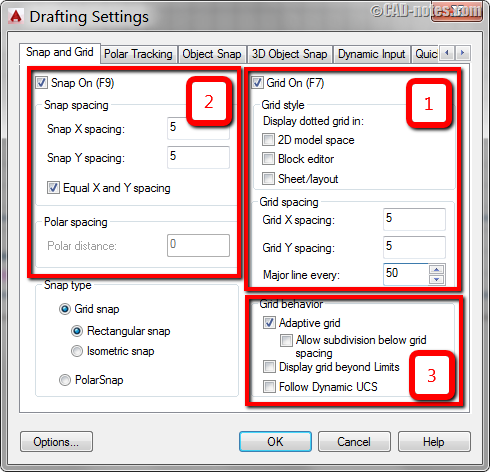 For instance, if you use AutoCAD’s default Limits of 0,0 to 12,9 and place a 0.25 x 0.25 block at 3,4, Zoom Extents will only show 0.25 x 0.25 (plus small edge). However, if you use Zoom All, the 0,0×12,9 limits will be shown. In some programmatic instances of Insert, if the limits on the incoming block are very large, the block may appear too small. Setting the limits on the incoming block to the minimum area makes it behave. Thank you for sharing how limits work with view! I didn’t know about it before. There’s always new thing to learn everyday! I use limits quite a bit, likely because I do a lot of schematic work. I’ve learned a few things here that will help me out, thanks. Typically I set up the limits to be the size of the viewport in paperspcae – the area inside the titleblock borders. Keep the great articles coming! !